Does your customer have their teeth stuck in a bad habit? I’m sitting in the office on a gorgeous May summers day and the sun is streaming in the window. Unfortunately I can’t enjoy it because my mouth is throbbing after getting a tooth removed after an emergency visit to the dentist. After every round of dentist visits I promise myself that I will get into better habits and maintain regular check ups (I know this is really important) but every time I manage to find good reasons not to make those appointments – the thought of voluntarily going for a check up and cleaning is always one that I manage to avoid. My hate and fear of the dentist visit (my guy is an old neighbour and really good) stems back to a brutal public dental school system when I was growing up in Cork – those memories still haunt me to this day! The result …I end up having an unpleasant “emergency” visit every few years where some drastic action is needed and on this occasion I lose a tooth, which should never have happened. Bad habits, in fact any habits are hard to break and in any business we find ourselves not making a sale but often trying to change a habit that someone has their teeth stuck into! I must change my bad habit …I wonder what my dentist could do to help me? This entry was posted on May 29, 2013 at 11:30 am and is filed under Customer Care, Marketing, Personal development. You can follow any responses to this entry through the RSS 2.0 feed. You can leave a response, or trackback from your own site. I had the same appalling treatment from the same system Greg and like you, I fear going to the dentist! I was watching a video the other day, it was an interview with Steve Jobs and the one piece of advice he gave was, ask people to help you. You just reminded me of this. So please do ask your dentist and let me know how you get on. 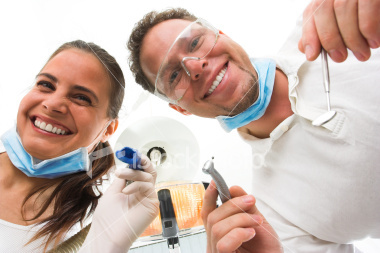 One thing that might work Greg, is to arrange your next follow-up appointment when you’re leaving the dentist. This way it’s in the diary.